Objective: Discovering, releasing, and transforming emotional causation into love, gratitude and beyond. Clients are delighted with the results. They see that they can actually change things within themselves instead of just dissecting them, which is so common in conventional approaches. They may have been able to cope better as a result of conventional methods, but they didn’t experience the deep, transformational change that comes from this work. I often hear things like, ‘For the first time I didn’t doubt myself,’ or ‘For the first time, I stood up to my husband.’ They often feel a profound sense of wholeness and well being they have never felt before. Methods of payment: Check, money order or PayPal on request. Call or e-mail the instructor to register or if you have any Quantum-Touch® questions. 13 CE Hours Available for Massage Therapists and Hypnotherapists through the National Certified Board for Therapeutic Massage and Bodywork (NCBTMB) and 12 CE Units by the International Medical & Dental Hypnotherapy Association (IMDHA). 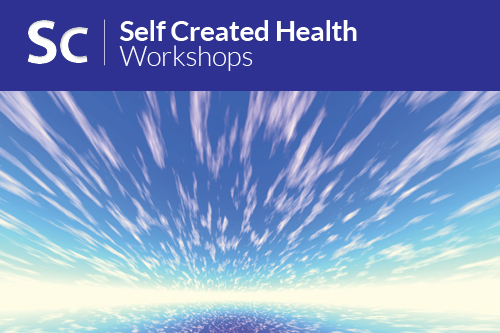 Please note that Quantum-Touch Level 1 is a required pre-requisite before attendance at the Quantum-Touch Self-Created Health Workshop.